Your kitchen countertop is an investment and it’s therefore important that you take care of it. Simple cleaning tips will keep your granite countertop looking good and ensure it last long. Correct cleaning methods and proper maintenance practices will ensure the durability of your countertop and give your house and kitchen a regal effect. It’s important that you understand your countertop and that keeps your countertop looking fabulous for years. In this article, we tell you do’s and don’ts when using granite countertop Durham and simple cleaning practices that will ensure the longevity of your countertop. It’s imperative that you seal your granite before using it. If you already have the granite countertop installed to make sure it sealed often. The number of times you seal your granite countertop will depend on how often you use the countertop. Talk to the granite countertop dealer and get advice on how often you should seal your countertop and the kind of sealant you should use. Coffee, fruit juices tomato sauces may contain an acidic element which may etch the countertop. To minimize the chances of damaging the countertop make sure you blot out any spill immediately. To clean the countertop, use a soft sponge and a mild detergent. Don’t use an acidic detergent because that may ruin the sealant. Using the wrong soap may also cause the countertop to become dull. Regular dishwashing soap will cause the countertop to become dull. Don’t take a hot pan and place it directly on the granite kitchen countertop. Hot pans may give your countertop a thermal shock and because small cracks Make sure you place hot pads and use trivets before placing hot pans on the countertop. Avoid cutting directly on the countertop, instead, use a cutting board to protect your countertop. Cutting directly on the granite will make countertop to have scratches and become dull. Any product that is acidic or contains harsh chemicals will destroy your countertop by downgrading the sealant. That will make your countertop more prone to staining. Use mild detergents to clean the countertop. Avoid sitting on the countertop or placing heavy materials because that will cause it to crack. Liquids such as perfume, colognes and nail products may spill and cause your countertop to stain. If such liquids remain on the countertop for long periods that may stain the top. Make sure you wipe any spills immediately using a sponge and a mild detergent. Keep your countertop clean throughout the day. The granite countertop dealer will advise you on the best granite cleaner that you can use on a daily basis. Remove all the items on the countertop and clean the whole surface. Clean the edges and remove any dust that has collected around. You can apply a granite polish monthly to make the surface of the countertop look more natural and enhance the shine. You can carry out the water and lemon test on your granite to see whether you need to seal your granite. The frequency will, however, depend on how often the countertop is used. Seal the granite if you notice that the countertop is absorbing water drops left on it. The contractor from the granite company will advise you on when you have your countertop sealed. Its imperative that you ensure that you follow the care and maintenance practices above to keep your granite looking good for long. Simple maintenance practices will ensure that kitchen countertop looks good and you can enjoy preparing meals on it for years. The granite countertop installers will advise you on how often you should seal your countertop depending on how often you use the countertop. What Factors Should You Consider When Selecting a Kitchen Counter top Material? Kitchen countertops are one of the most used parts of the kitchen and it’s therefore important that you invest in the right Material.T here are different kinds of materials that you can choose from and before you make your choice we tell you the factors you should consider when choosing the material to use for your countertop. You can consult the experts at the granite company on the best material for your kitchen. Below is the simple criteria to follow when selecting kitchen countertops. Determine how you intend to use the kitchen and then choose the material that best suits your lifestyle. It’s important to choose the countertop material you want to use based on how often you use your kitchen. If your kitchen is busy you need to choose, material that will withstand the high traffic and it’s heat resistant. Silestone countertops will withstand high traffic without chipping or breaking. Before you choose the countertop to make sure you assess your needs and choose one that suits your need. Make sure that you can maintain the countertop that you choose. Granite and marble countertops require sealing after every two years. The material you choose should be stain resistant to ensure your kitchen remains clean. Silestone countertop doesn’t require any sealing and is easy to maintain. Ask the countertop dealers on the care and maintenance you need for the countertop material you choose. We all want our kitchen to look good. The countertop you choose should make your kitchen more beautiful. Make sure you consider the flooring and the cabinets. Granite countertops come in a variety of colours that you can choose and you will be able to match any kitchen appliances. Complement your kitchen cabinets and the flooring with kitchen countertop. 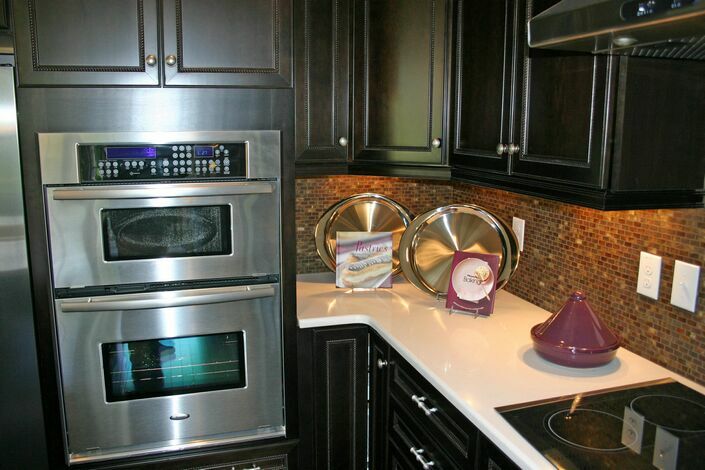 Choose a kitchen countertop material that will bring out style and elegance of your kitchen. Durability is one of the most important factors that you should consider when installing a countertop. Make sure the material you choose can withstand the traffic in your kitchen, resistant to heat and scratched and will last a lifetime. The countertop dealers will help you determine the best countertop for your kitchen. Marble and granite countertop will work well if you don’t have a high traffic in your kitchen. Determine what your budget and choose the material that suits your budget. Visit the countertop companies and get quotations on the various kitchen countertop material available. It’s however important that you ensure that the material you choose fits your kitchen and you can afford it. Granite countertops are expensive but it’s one of the best material for your kitchen countertop. The kitchen countertop will add the value of your house. The right countertop will add elegance to your home. Choosing the wrong material will mean constant replacement of the countertop and that will mean you incur extra cost every now and then. Countertop replacement is expensive and its therefore important that you choose the right countertop. Based on the above factors choose a durable countertop material that will last a lifetime. The kitchen Countertop will enhance the look of your home and it’s important that you choose the right material. Speak to the experts and find out the best countertop products NC for your kitchen. Make sure the material you select fits into your budget and you can manage to take care of it. The right material will give your kitchen an elegant look, last long and make cooking more enjoyable. 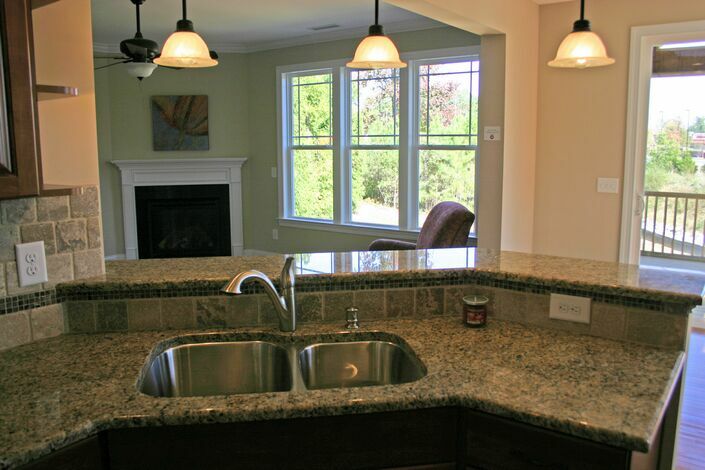 There are many countertop materials you can choose from, but granite countertops Raleigh are still the king. The unique appearance and structure of granites have made it a formidable material when it comes to countertops. A remodelling can be overwhelming as you try to figure which material to use for your kitchen countertop. In this article, we tell why granite is the best material to use for your kitchen countertop. Reasons Why Granite is still the Best Countertop Material. Granite is a hard-natural stone and that makes it long lasting and easy to maintain. Granite can withstand hot pans and scratches. To clean your countertop, use a mild detergent and warm water. Granite is long lasting and once sealed it’s not vulnerable to bacteria. Granite is affordable as compared to other materials. If you are on a low budget, consider using granites. Visit the granite company and get a quotation on how much you will need for your granite installation. Granite is not only affordable but will last longer than most countertops. Your kitchen countertop endures a lot of cutting and cooking and you need a countertop that will last long. Granite is the ideal countertop investment for your kitchen. Granite is one the most popular countertops and it’s one of the features that buyers look out for when looking to buy a house. A granite countertop conveys luxury and adds beauty to your house. If you invest in a granite during a house remodelling, you can be sure that you will get a 100% return on your investment. Although buyers consider other factors a granite countertop will put your house at the top of the selling board. With granite, no two pieces are the same. Each slab comes its own colour, variation, appeal, and charm. Granite countertop comes with a variety of colours from vibrant shades of blue to yellow to black, grey and white. Granite countertops give you the option to choose from a variety of colours to match with your kitchen cabinets, and flooring. Granite will give your house a classy look and if you like a dramatic look they are readily available and if you love a cool home, cool colours are available. Granite is easy to maintain. You only need a mild detergent and a cotton piece of cloth to clean out any spills. Granite is a tough natural stone which resists stains, etching, and scorching. After sealing you can be sure that your countertop is protected from stains. After meals, you simply wipe any spills with a piece of cloth. Granite is available in large slabs that are distinct. If you have large spaces, granite will allow you to reduce the number of seams as it’s available in large slabs. The stone has a classic look that you will not find in any other stones. You can be sure that you have a unique countertop that will not go out of style. Clean your countertop with water and a mild detergent. Avoid using any harsh detergent. Use a cutting board while cutting any food. While granite is scratch resistant its important that you take care of it. Let the expert granite countertop installers do the installation of your countertop to ensure a classy outcome. Make sure your granite is sealed after every two years, depending on how you use it. Granite kitchen countertop is the most preferred countertop material for most people. Its natural, unique, durable and comes in a variety of colours and you can be sure that you will find one that suits your kitchen. Make sure your granite countertop is professionally installed by the granite countertop installers and that will give your kitchen style and perk up the value of your home. 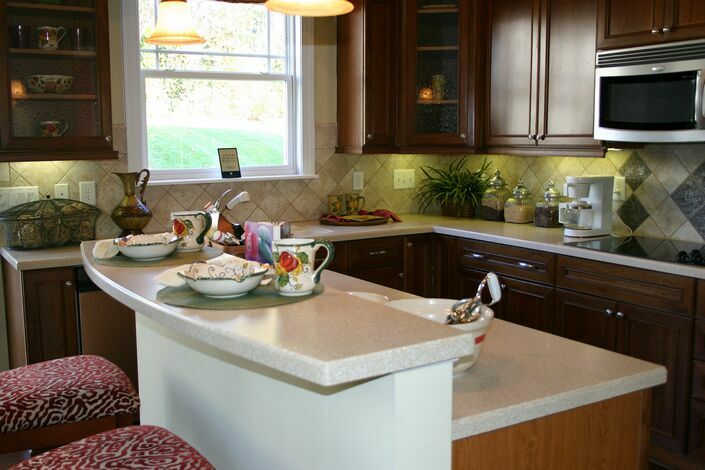 Kitchen countertops play a major role as they serve as a kitchen workhorse and a showpiece. The countertops you select during your remodel should be durable, stain resistant, heat resistant, nonporous and elegant. Choosing a countertop that has all these qualities is not easy and can make one feel disconcerted. Your countertop is an investment and it’s important that you make the right decision. To make the choosing process less intimidating we tell you questions you should ask yourself and get advice from the granite countertop installers before you select the kitchen countertop. How will you use your countertops? It’s important that you assess how you are going to use the countertop. If you have a busy kitchen the countertop you choose should be able to withstand the activities in your kitchen without being extra careful. If you run a restaurant you need to get a countertop that can withstand hot pans, stain resistant without wearing off too quickly. Quartz countertops will be able to withstand busy kitchens while granite will work for an outdoor kitchen island. It’s imperative that you analyze the kind of activities in your kitchen and select the countertop that suits you. If you cannot decide whether your kitchen is high traffic or not, talk to the experts at the granite company on the best countertop for your kitchen. How much maintenance can you handle? Different countertops require a different amount of care. Some materials are resilient while others require a lot of care. You need to be realistic on how much effort you are willing to put to maintain your countertop. Granite countertops require resealing every two years while Quartz countertop doesn’t require to be sealed. Assess the demands of each countertop carefully before you settle for that material. If your kitchen has little activity, the care and maintenance are minimal. What are your kitchen requirements? It’s important to know the number of linear feet you require. With the requirements, you will be able to get quotations for various materials and compare. It’s important that you work within your budget. What materials brings out your style? The material you choose should give your kitchen an elegant look. Choose the material that will bring out style, but also one that will last long. Before selection below are some of the questions to ask the granite installer or fabricator. Once you have given the experts your requirement, its best to ask for their expert advice on what will work best for you. The granite countertop installer will be able to give you advice on which countertop to choose depending on the state of your kitchen, your lifestyle and the traffic. Where are the seams going to be located? How will you maintain your Countertop? The expert at the countertop company should be able to advise you on how best to maintain your top. Seek advice on the detergents you should use to keep your countertop looking good. Different surfaces require different care practices and you need to choose the one you can handle. Quartz countertop doesn’t require much care while you may need to reseal granite or marble countertops. Your countertop is an investment and it’s imperative that the installer has the expertise and experience to do a professional installation. Confirm the installer is certified and they have the expertise to install the countertop without damaging it. Ask for a quotation and confirm any cost that you don’t understand. It’s best to work with a granite company that installs and delivers as that will make your work easier. Confirm that all the cost is in the quotation to avoid surprises. The kitchen countertop you choose will cost you money and determine how your kitchen will appear. Its therefore important that the countertop products NC you use is durable, functional and gives your kitchen an elegant look. Whether you choose granite countertop, marble or solid surface countertop make sure you bring out style. Granite countertop is one of the most used countertops. The beauty, variety and its durability make it one of the most used kitchen countertop and bathroom vanity countertop. However, there are a lot of debate and myths surrounding the countertop material. In this article, we debunk the myths and give you advice on what you should avoid making sure your countertop last a lifetime. The acidic liquid can make your granite countertop to etch and damage the seal on the countertop. Liquids such as vinegar, citrus drinks, and some perfumes are acidic and may destroy your granite. In the bathroom ensure your perfumes are well sealed to avoid pouring. In case of any spill ensure its as clean as possible to prevent your countertop from etching. Clean the countertop with mild detergent and warm water. If the spills are left for long they will cause the kitchen countertops to become stained and etched. You may be tempted to sit on your kitchen island especially if you have a lot of guest in the house or stand on it while trying to reach things from the upper cabinets. Granite is likely to crack under pressure. avoid placing any weight in the undersink that would cause pressure on the granite. One of the most commonly asked question is whether hot pans will damage your granite counter top. Granite is formed as result of pressure and extreme heat in earth surface and it’s, therefore, able to resist heat from pans. Granite is made from heat ranging from 1300 to 2400 degrees and it’s, therefore, able to withstand heat from pans without getting damage. it’s however important to place the hot pans on a cloth because the heat may destroy the sealer allowing stains to penetrate the countertop. Normal kitchen activities such as baking, and cooking don’t produce enough heat to destroy the granite, but as a good maintenance practice always use the heat coaster to protect the granite. Extreme high temperatures will, however, damage the countertop. Granite kitchen countertops are resistant to stains. Any liquid spilled on the countertop will not cause a stain if wiped immediately. if liquids are left on the countertop for long, may cause the countertop to discolor. Granite countertops require sealing after every two years. After sealing all you need to do to keep the countertop shinning and elegant are mild soap and warm water. Clean the top regularly and in case of any spills wipe immediately. The expert at the granite company will advise you on how often you should polish your countertop. To debunk the myth, we can confidently say that your granite kitchen countertop is easy to maintain. Granite is porous and that’s why it requires sealing. Once the sealing is done that will keep out any bacteria and that makes it safe for use in the kitchen. It’s therefore untrue that your granite will harbor any bacteria. Keep the countertop clean and that will ensure there are no bacteria in your food.